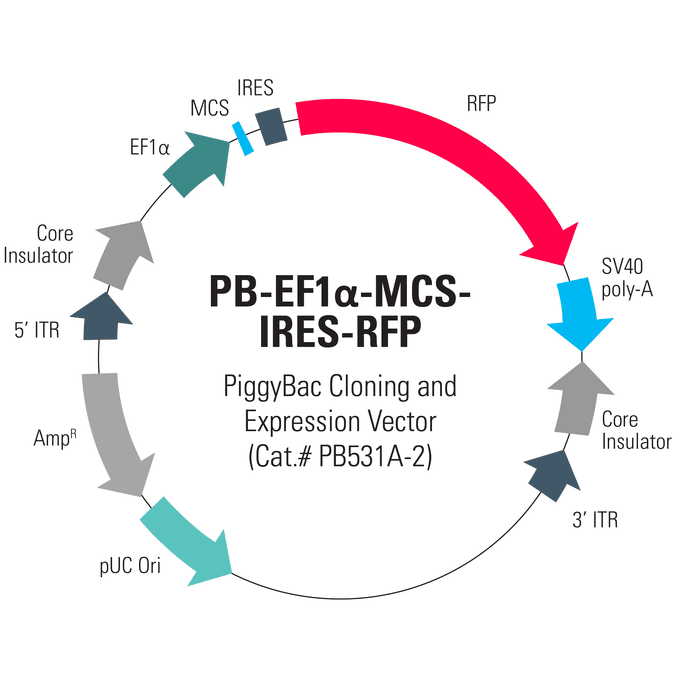 Consistent and easy-to-use, SBI’s PiggyBac Transposon System includes cloning and expression vectors that come with a range of markers as well as both constitutive and inducible promoters. The PB-EF1α-MCS-IRES-RFP PiggyBac cDNA Cloning and Expression Vector (Cat.# PB531A-2) drives co-expression of your gene-of-interest and RFP from the moderate EF1α promoter. Co-expression is mediated by an IRES element upstream of RFP.